Japan was stunned Tuesday by news that swimming star and Tokyo 2020 Olympic gold medal hopeful Rikako Ikee has been diagnosed with leukemia. "I still can't believe it and am in a state of confusion," said Ikee. "But it's also a disease that can be fully cured if treated properly." 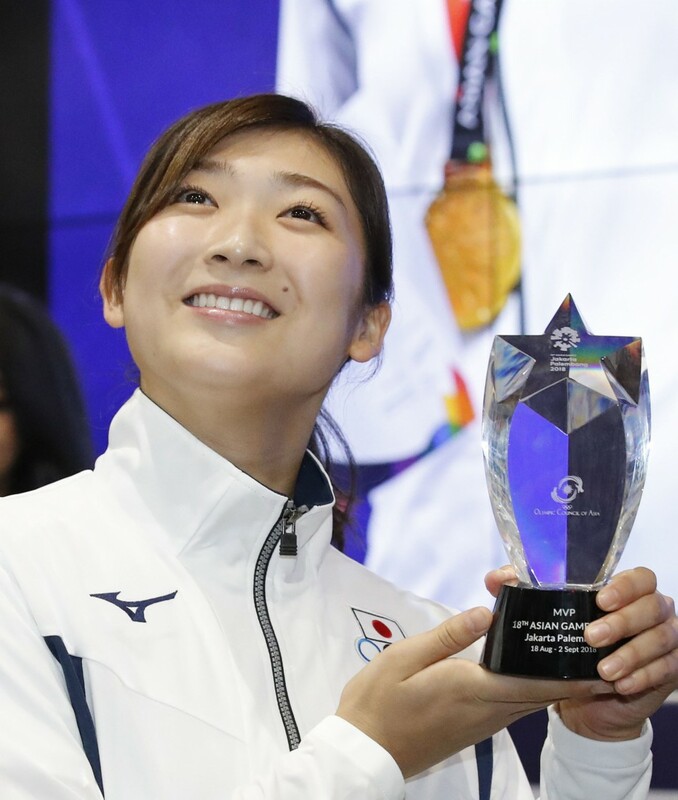 Ikee said she will skip April's national championships, which serve as a qualifier for the world championships, in order to undergo treatment. "I will rest a little and dedicate myself to treatment," she said. "I will strive to show you an even stronger version of myself. Thank you for your encouragement and warm thoughts." Ikee shot to fame at last summer's Asian Games in Jakarta, where she was named the games' first female MVP after becoming the first swimmer to win six gold medals, with all six in games-record times. "I'm utterly taken back," said Yasuhiro Yamashita, the Japanese Olympic Committee's head of development. "She still has great potential, an athlete who could power the world of Japanese sports." "The first priority is thoroughly treating this disease." Her coach, Jiro Miki said Tokyo 2020 was not entirely out of the question, but Japan Swimming Federation Vice Chairman Koji Ueno said, "We're not considering any special (qualifying) exemptions for her." "I'm told we wouldn't have been able to discover the disease in ordinary circumstances," Ueno said. "We were able to find her irregularities because she was swimming. In that sense, we were able to find the disease early." Miki said Ikee's poor results at a meet prior to the training camp led him to believe she might be suffering from fatigue. Doctors recommended further examinations after seeing the results of a blood test in Australia. Ikee returned to Japan on Friday, when she received the diagnosis. Ikee's tweet received many comments, among them many messages of encouragement from leukemia patients and survivors. "I too am undergoing treatment for leukemia right now and received umbilical cord blood transplant today," wrote Twitter user @_piyopiyotan_. "There may be many tough moments down the road, but there are also lots and lots of people out here who share and understand your same feelings...so let's get through this together! I'm rooting for you!" Actor Ken Watanabe, who was diagnosed with acute myeloid leukemia in 1989, expressed sympathy for Ikee. "I had the same disease. I think you may be feeling desperate like "Why me?" he said in a tweet. "Although I know little about the situation surrounding you, I hope you will look forward and take your time getting treatment, believing in today's medicine and your vital force."